The "three worlds" of the Cold War era, as of the period between April 1975 (the fall of Saigon) and August 1975 (the communist takeover in Laos). First World: United States, United Kingdom and their allies. Second World: Soviet Union, China, and their allies. 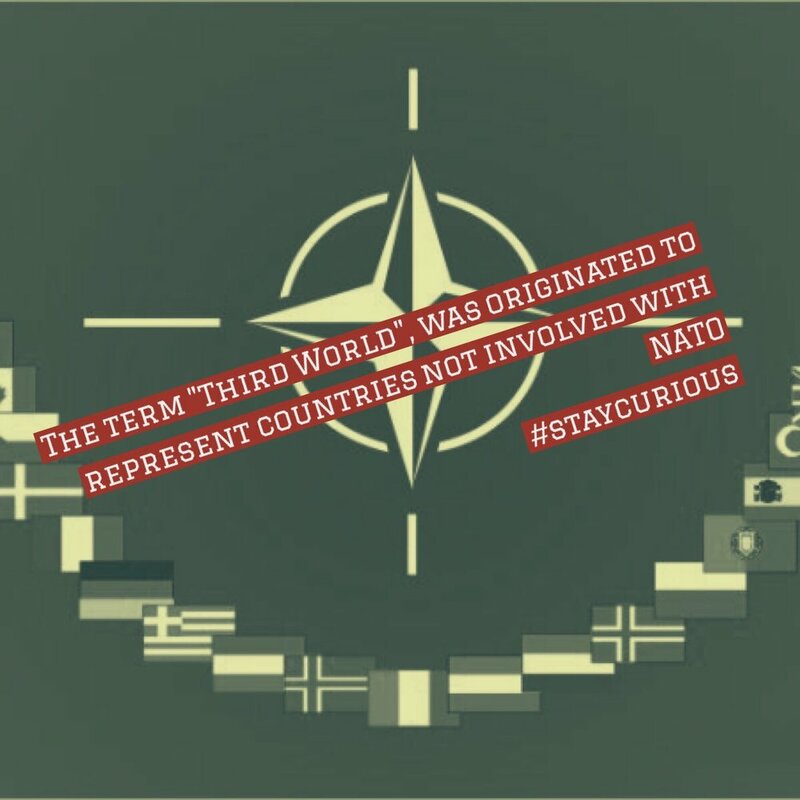 The term Third World arose during the Cold War to define countries that remained non-aligned with either NATO, or the Communist Bloc. The United States, Western European nations and their allies represented the First World, while the Soviet Union, China, Cuba, and their allies represented the Second World. This terminology provided a way of broadly categorizing the nations of the Earth into three groups based on social, political, cultural and economic divisions. The Third World was normally seen to include many countries with colonial pasts in Africa, Latin America, Oceania and Asia. It was also sometimes taken as synonymous with countries in the Non-Aligned Movement. In the so-called dependency theory of thinkers like Raul Prebisch, Walter Rodney, Theotonio dos Santos, and Andre Gunder Frank, the Third World has also been connected to the world economic division as "periphery" countries in the world system that is dominated by the "core" countries. Due to the complex history of evolving meanings and contexts, there is no clear or agreed-upon definition of the Third World. Some countries in the Communist Bloc, such as Cuba, were often regarded as "Third World". Because many Third World countries were extremely poor, and non-industrialized, it became a stereotype to refer to poor countries as "third world countries", yet the "Third World" term is also often taken to include newly industrialized countries like Brazil, China and India. Historically, some European countries were part of the non-aligned movement and a few were and are very prosperous, including Austria, Ireland, Sweden, Finland, and Switzerland. Over the last few decades since the fall of the Soviet Union and the end of the Cold War, the term Third World has been used interchangeably with the least developed countries, the Global South, and developing countries to describe poorer countries that have struggled to attain steady economic development, a term that often includes "Second World" countries like Laos. This usage, however, has become less preferred in recent years.